16/07/2009�� Strange thing happened to me few months ago on one of our biggest databases. DB Oracle 10.2.0.2.0 on Solaris 9 (64-bit). This database contains several range partitioned tables where date column is partitioning key. When an exception initialized with PRAGMA EXCEPTION_INIT is caught, the value returned by the SQLCODE function is the sqlcode associated with the exception, not the Oracle value. 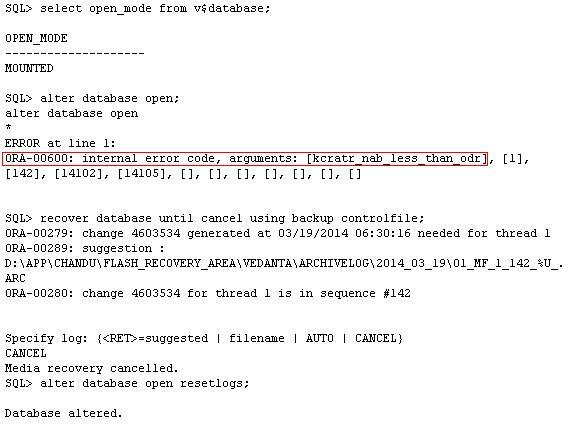 In the previous example, when exception2 is caught, the value returned by SQLCODE will be -204, which is the sqlcode corresponding to Oracle sqlcode -942.